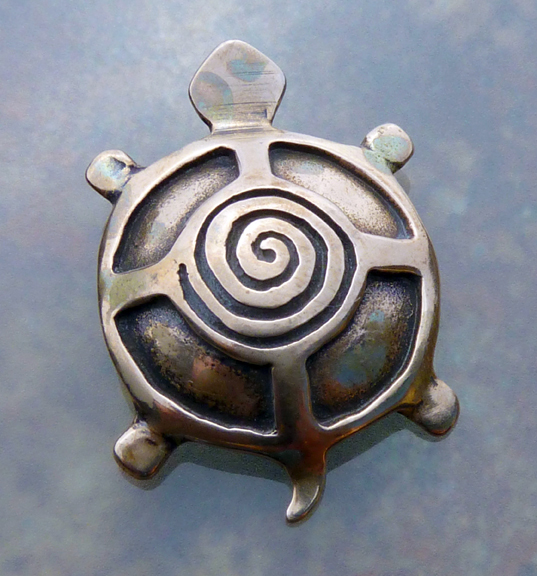 My little turtle pendant in bronze. Very cute on an omega necklace. Turtle hangs head’s up. Turtle represents the earth, it’s back is divided into four directions, and the spiral is a symbol for life and spirit. This piece is about the size of a nickel.